"First down, they give it to Dalvin Cook, and he puts the ball on the ground! The first time he has fumbled it all year long. The Lions have it. How about that?" Says an excited Thom Brennaman calling the Week 4 matchup on Fox. "Yeah, and I think he is hurt because he is going to lose his balance and this does not look good. Watch his knee on the cut," says Chris Spielman. Fast forward two months after the injury, Dalvin Cook took the stand to answer questions about his rehab for the first time since that devastating day on the first of October. Cook's initial reaction from the injury was that, "It felt kind of funny at first . . . I kept telling the trainer I am good because it did not hurt." To put it simply, it had to hurt and it especially hurt everybody involved with the organization on an emotional level. I recall throwing my hat at the wall. The team could not recover from the injury and lost at home against the Lions 14-7. I waited for the news the following Monday with not much hope regarding the significance of the injury after seeing it take place. Cook went on to say, "The next day, it stiffened up and I knew something was wrong." The news of the complete ACL tear broke the league after a Mike Zimmer interview. "Like on most of these ACLs, there is a bit of cartilage meniscus," Zimmer said. "It is a normal, typical ACL (injury). . . He will have to wait until the swelling goes down to perform the surgery." It was a rather somber week of thoughts and prayers throughout the organization and the league. From the outside looking in, the devastation might have seemed to be over exaggerated. The rookie sensation only played in three and three-fourths games, but his impact was felt. 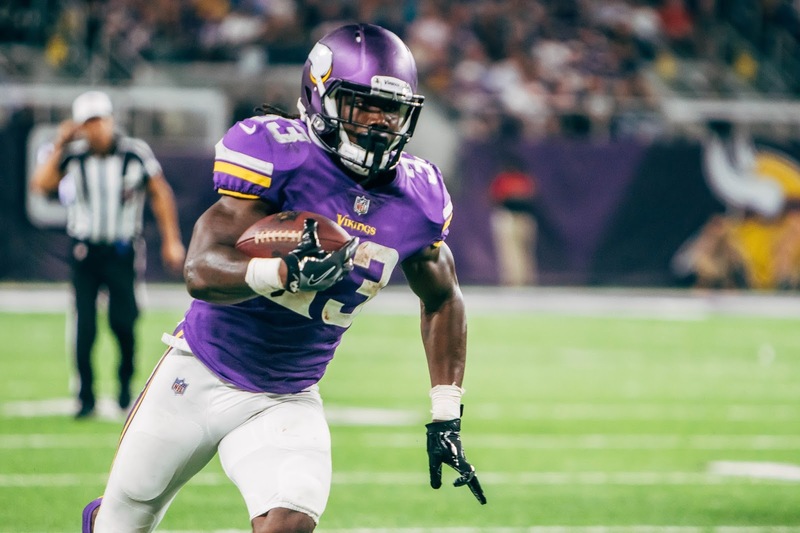 Every time he touched the ball I reminisced the prime years of Adrian Peterson in a Vikings uniform, but there seemed to be a difference, he had the capability of exploiting defenses in multiple ways on all three downs. 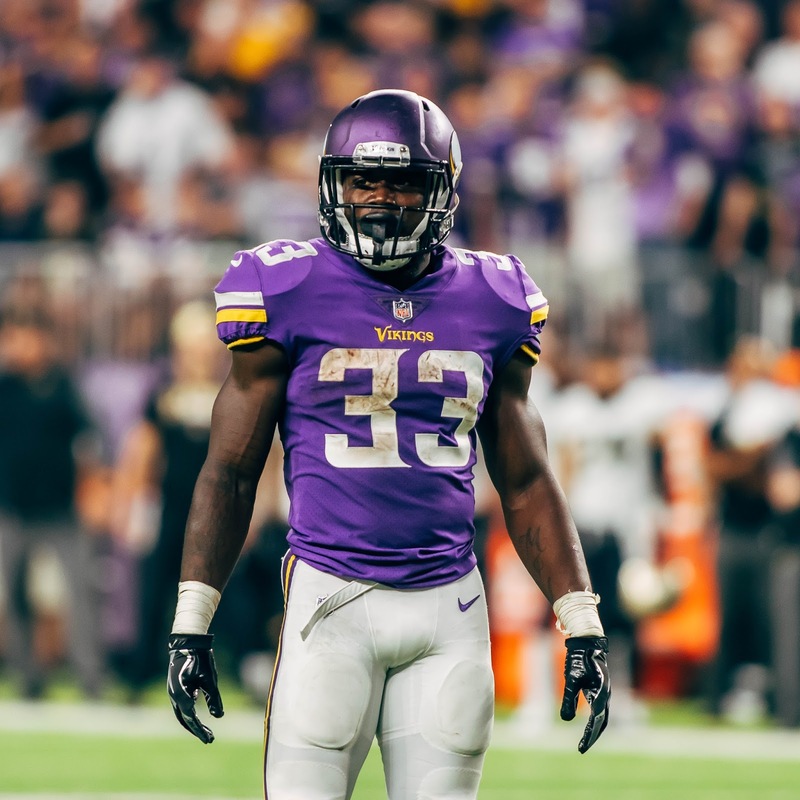 The question we are all left with is, "Will Dalvin Cook return to form?" I found a good indication of that answer by taking a look at his young football career. Dalvin Cook attended Miami Central High School. He did not play football his freshman year. Well, he figured he had no chance to supplant star running back Devonte Freeman. Ever heard of him? Yeah, I have to. He started playing his sophomore year and shared carries until his senior season where he rushed for 1,940 yards and 34 touchdowns. The team won the 6A state title. Cook helped lead the team to a 52-5 record in his three year high school career. Ranked.com regarded Cook as the second best running back in his class. In an interview after the state championship game, Cook was already getting questions about where he was going to attend college. He stated that he would announce his decision after the Under Armour All-American football game where the top 100 high school football players would face off. Who has recruited him? 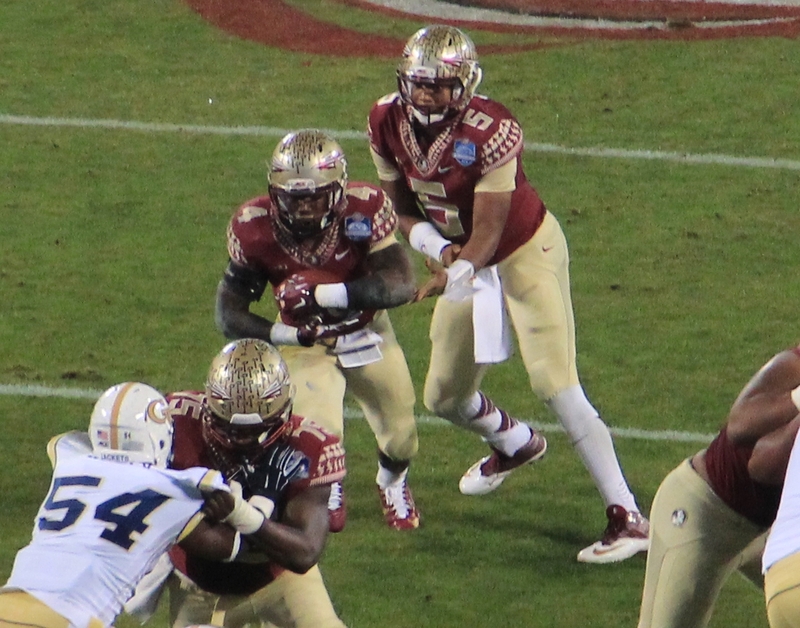 "Jimbo Fisher, Mack Brown, Miami, LSU," Cook said. Notice how he stated Jimbo Fisher first. He already knew where he wanted take his talents. The decisions did not come quite as easy he spilled information before the All-American game that he had committed to Clemson. He then backed out of his decision and committed to Florida, I assume because he wanted to stay in his home state. He posted an Instagram picture of him doing the coveted "Gator Chomp" with other Florida recruits in practice leading to the Under Armour football game. After he rushed for 78 yards on just 9 carries, he shocked the state of Florida and flipped his decision to Florida State University. Jimbo Fisher landed the 5-star running back. Cook's college career was sensational. In his first season he rushed for 1,000 yards. The next two seasons were even better, rushing for 1,691 yards in 2015 and 1,765 yards in 2016. He earned first team All-ACC in each of his three seasons, and also first team All-American by the Associated Press and Walter Camp Foundation, among other awards. NFL teams were interested in his medical checks, though, because of the hamstring issues he had throughout the 2015 season and the three shoulder surgeries he had since high school. Cook tore his rotator cuff in high school, then tore the front part of his labrum in 2014, and the back part of the labrum in 2016. Head Coach at Florida State Jimbo Fisher on the Rich Eisen Show was asked about the red flags regarding Cook's Draft profile. "I do not know if I have ever been around a guy who truly loved to work out and knew his body the way he does,” Fisher said. The most memorable college game that I watched him play was against Miami in 2015 during the time he was battling his hamstring injury. The whole game was spent by the broadcasters talking about this kid. He received a heavy work load; 22 rushes for 222 yards, 3 catches for 47 yards, 3 total touchdowns. It was an eye opening highlight being that his work load was far from reduced despite being questionable throughout the week and even the game. On three of those carries he seemed to have tweaked his hamstring. I remember questioning whether he would come back in the game, yet he continued to play through the pain at an extremely high level. I remember thinking, "This kid is tough." He also had run-ins with the law, starting at the age of 14 where he was charged robbery, charges dropped; firing and possessing a weapon on school property at the age of 15, charges dropped. The most recent incident occurred in 2015, where he was charged with misdemeanor battery outside a bar. He was found not guilty in a matter of 15 minutes in court. Many NFL teams had issues with his off the field run-ins with the law. I dug deep into why these incidents occurred and I found out that Cook was a foster child. He moved into his paternal grandmother Betty Cook's home. She fostered many young men who needed a place to live and someone to give them hope. The transition in 2007 was not smooth. He wanted to live in Central’s school district and relieve pressure from his mother who was raising his two younger siblings. This was around the time that Cook started his run-ins with the law. Dalvin needed a place to go and Miss Cook was there to take him in hopes of finding peace while growing up in a rugged area in Miami that consistently had drug dealing, gun-slinging and shootings on a nightly basis. Is this an excuse for his actions? No. He most likely put himself in scenarios, or around the wrong group of people, that he should have avoided. I was once an immature teenager and I am thankful I was able to learn from those times. I hope those days for him are in the past just like they are for me. Eisen followed up more tough questions for Jimbo Fisher regarding Cook’s character heading into the NFL Draft. saying, (after a game his senior season), "He is not blocking good. He is missing cuts," Maybe I defended him too much but he had 99 yards and 100 yards receiving. He had 200 yards but he was off, it was a bad game. . . So let me tell you a story about him which to me defines him, I called him in and said, Dalvin, "What can I do?" He sat there in silence for two minutes. He did not say a word . . . thinking about what he was going to say. . . and then he said, "I want you to coach me like I am a Freshman." I love that story. 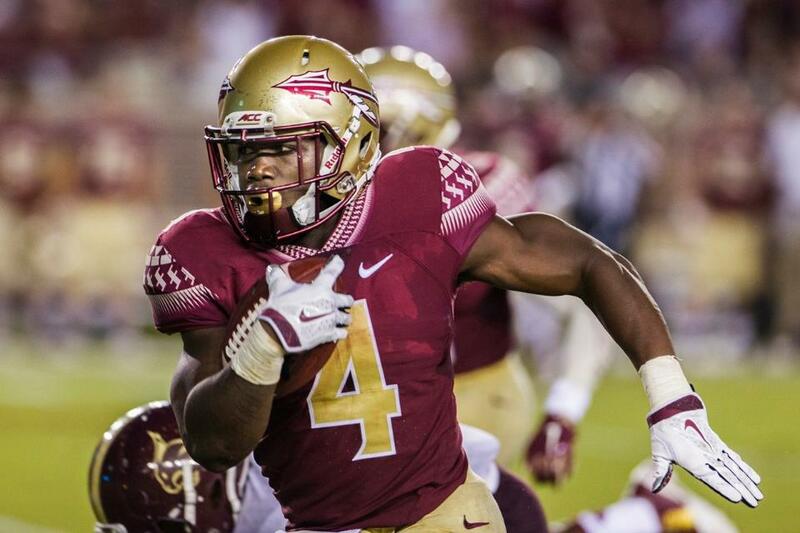 Like many others, I had doubts about Dalvin Cook's profile heading into the draft. He was injury prone and had off field issues, however, I have realized that he is a someone that you want around your organization. He makes people around him better and he never settles for average. In a memorable moment that captured my attention about Cook’s character, Florida State narrowly escaped a defeat against South Florida in 2017 but Cook was not satisfied. Here is an example of Cook's love for the game, Dalvin Cook and Jimbo Fisher Postgame Speech, give it a watch. Dalvin Cook loves the game of football. Rick Spielman always talks about getting those high character guys in the locker room that love the game. He must have done similar research that resulted in him confidently bitting the bullet to trade up in the 2017 NFL draft to select the future at the running back position. "This process has helped me. The challenges are hard. Just going through it, it is crazy. The first two weeks, was hard. You still have to fight through it. . . He (Bridgewater) would call me every day after I had my surgery in Pensacola. He would just push me through it. . . He always knew the right things to say." Those people around him, that have been through it, were incredibly important in helping Cook through the days of sitting on a hospital bed after surgery. Credit Spielman for building a roster consisting of a group of men that are capable of forming a football family that helped create the perfect situation for a young star. I imagine the thoughts running through professional athletes minds after sustaining such an injury, thinking, “Why me?” Injuries can dictate a career’s worth and ruin dreams. Although this was devastating to his young career, you can still look at the positives. It has given him a chance to recover from the heavy workload at Florida State and it has the potential to be the humbling experience that defines the man he is yet to become. The only thing holding this sensational second round draft pick from having a successful career is whether or not he will be able to sustain good health. You also have to anticipate a learning curve trying to gain the trust back in his knee. As Zimmer explained, “The most difficult part about returning from an ACL injury is the mindset. . . Cook is a hard worker and I have no doubt he will return to form.” Opposing defenses better be ready once he gains trust in his knee again. All eyes will be on the soon to be 23 year old heading into the 2018 season. Will he be a star? I have more reasons to believe that he will than otherwise. Cook seems to think so too. In a recent tweet he said, "CBPOTY??" (Comeback Player of the Year) It is near impossible to predict how he will recover from such a significant injury but it has officially been over four months since the play that resulted in my hat being tossed at the wall that seemed so devastating at the time. 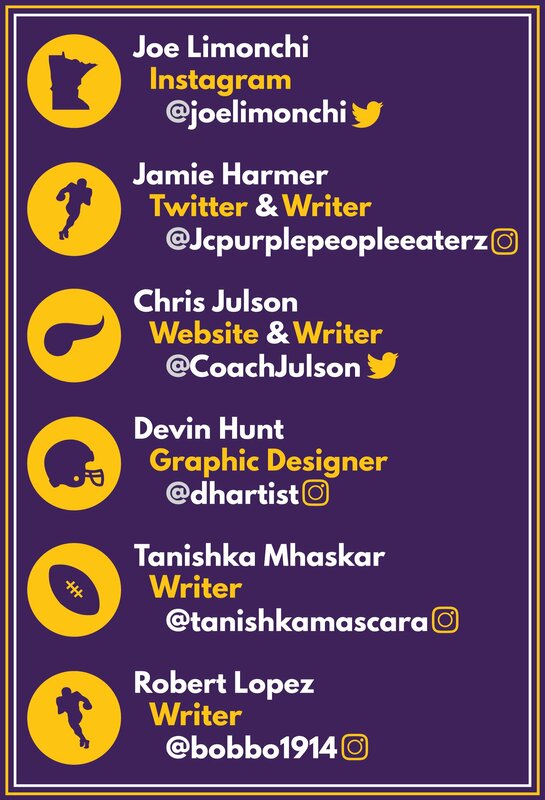 I finally have optimistic thoughts involving Dalvin Cook again. All signs point towards his recovery going well. Recently, he began jogging again, and he has been working out and lifting weights since November. Look for him to suit up heading into next season. I am not a betting man, but if I were to be, my bets would be on this shifty, allusive, all-around back to return to his old form and make the offense a threat in more ways than just one. His story is yet to be told and I cannot wait to see how it unfolds. What are your thoughts on #33? What kind of year do your predict he will have once he returns? Comment your thoughts and predictions below.